Big K.R.I.T., a favorite of the blog for a little while now, has recently released the follow up to KRIT Wuz Here titled Return of 4Eva. Since the last time he was on the blog K.R.I.T. 's been writing a play book on how to build consistent hype-release great music, go on tour, remain visible while not playing yourself out, strengthen yourself as an artist and a brand. Return of 4Eva sounds like a natural progression, rather than a huge leap, to his first tape, but as a rapper KRIT has clearly matured. Deeply rooted in Southern rap, KRIT sounds like 2.0 to the subset which has been both so oversaturated in recent years yet which still seems like it has something more to offer. KRIT continues to combine tracks that showoff deep introspection with tracks which showcase the more trunk-rattling traditional elements of Southern Rap, bridging the gap that most Southern rappers can't. Today's jamandahalf features KRIT venting/rambling, in the best possible sense of the word, on a threadbare beat. When you hear this song you really have to listen. It's not a song that comes easy, but it does really show off KRIT, the rapper. 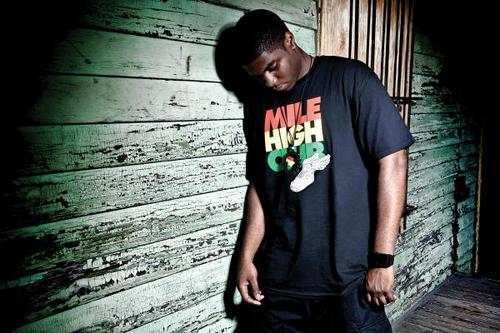 On tracks like these KRIT shows off his humanity. Not Hollywood enough to stay aloof, "The Vent" sounds like a buddy coming to talk about what they got on their mind. KRIT is clearly not hiding, its impossible to over a few piano chords and a synth or two, rather, he's putting himself out there, ready to be judged. Judge for yourself and let me know what you think.